Victor Lawrence Black was born on May 23rd 1988 at Amarillo, Texas. The six foot four right hander attended Dallas Baptist, University where he was a star pitcher & the highest ever drafted player at the school. He was selected as a first round draft pick (49thpick overall) for the Pittsburgh Pirates in 2009. In 2009 he was 1-2 at State College in the New York Penn League, going to A ball West Virginia the next year. He was injured most of 2010 pitching in just two games going 2-1 with a 5.28 ERA. He moved up quickly going to AA Altoona in 2012 & getting to AAA Indianapolis by 2013. There he was 5-3 with 53 strike outs n 46 innings, posting a 2.51 ERA, making the All Star team. Black was called up to the Pirates on July 25th, making his debut pitching the 8th inning in a 9-7 loss to the Washington Nats. 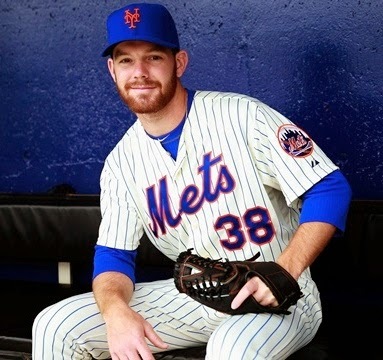 He made three appearances with Pittsburgh, and was sent to the New York Mets, as the player to be named later in the Marlon Byrd & John Buck deal. 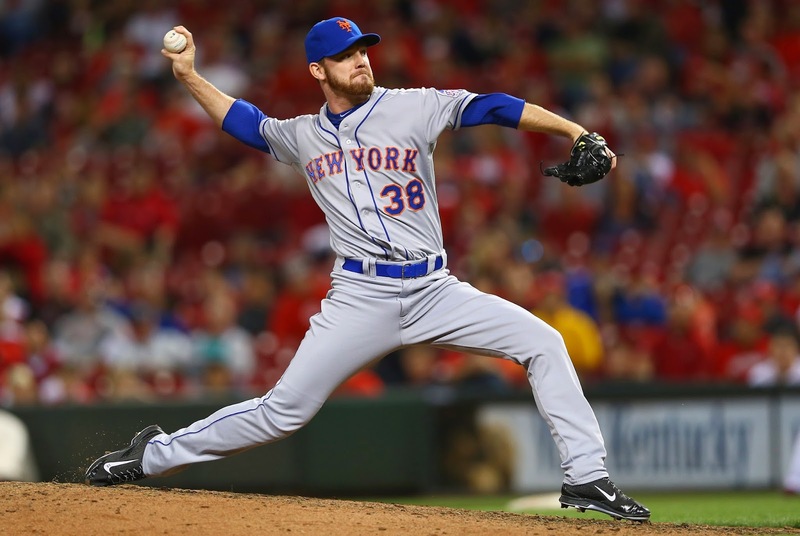 Black debuted with the Mets in Atlanta on September 2nd, 2013 making a mid-relief appearance in a 13-5 loss to the Braves. On September 8th, Black blew a save at Cleveland, when he relieved Daisuke Matusuzaka with the bases loaded & hit Asdrubal Cabrera with a pitch,, that resulted as the Indians winning run. From there Black pitched well, he recorded three wins & save against no losses the rest of the way. He also was credited with four holds, as a late reliever. In 12 innings he struck out 13 batters, walked four & posted a 3.46 ERA in 15 appearances. 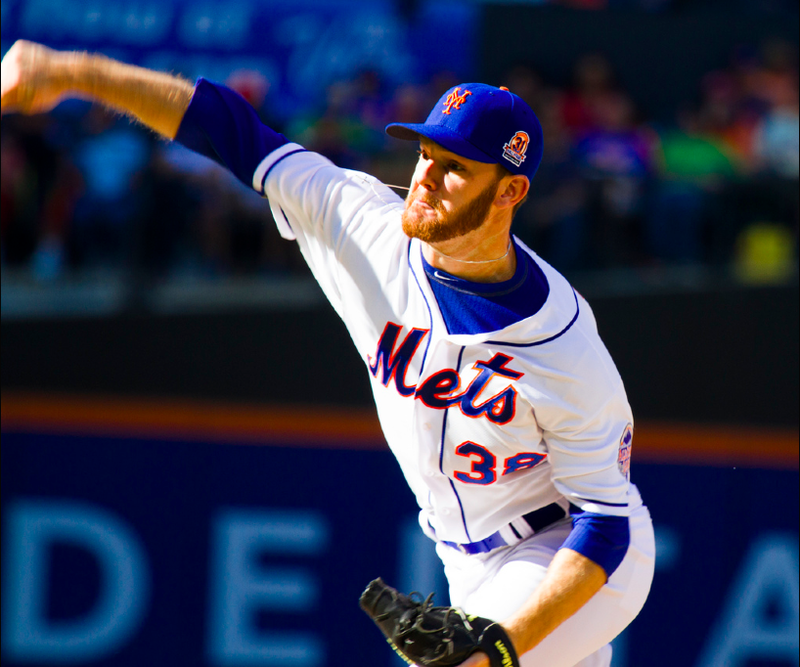 Black was being looked at as the Mets set up man for 2014, but he had a rough Spring Training, posting a 5.79 ERA with ten walks in 9 ½ innings pitched. The hard throwing pitcher did not make the trip North, as he was sent to AAA Las Vegas. There he was the 51's closer, earning seven saves with a 1.47 ERA in 17 games. That quickly got him back to the Mets big league club by the end of May. Black returned on My 27th & earned a win in relief against the Pittsburgh Pirates. In June he took two losses as well as earning three holds as a set up man. By July 12th hed had seven holds to his credit, as he earned a win against the Miami Marlins pitching a scoreless 8th inning. Through August he was the main set up man before injuries shortened his season. He finished 2014 with 12 holds a 2-3 record & a 2.60 ERA in 41 appearances. He struck out 32 batters & walked 19 in 34 innings pitched. 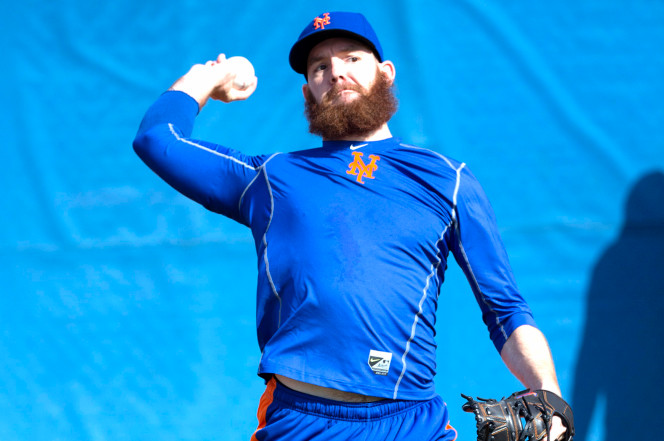 At Spring Training 2015 Black was shut down after just two innings of work with weakness in his pitching shoulder. 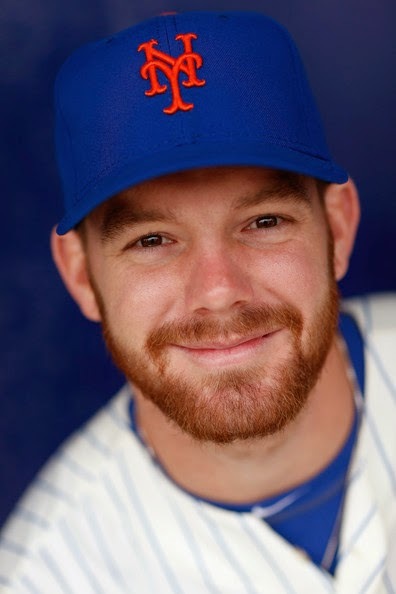 He began a rehab program pitching at St. Lucie (0-1 in two games) & then a relief stint at AA Binghamton. He spent most of the season suffering from a recurring herniated disc as well as arm fatigue. As the Mets were on to a National League Championship, Black was a fading memory. He struggled at AA Las Vegas & hoped for a September call up that never came. In stead he was placed on waivers & is currently a minor league free agent. 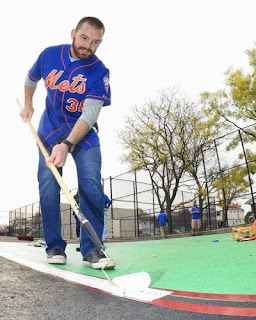 While with the Mets he leased an apartment in New York, was involved in the City even helping to create a baseball field in Staten Island.